Navigate to the Woolovers ‘shoutabout‘ page and fill out the form with your details. Now follow the onscreen instructions to share your code with friends and family. Please get their permission first if you’re including their details such as email addresses. Once accepted, your friend will have 6 months to start their account and place their first order. At this point you’ll both unlock your 20% discount bonuses. Get hold of your referring friend’s referral code or link. Either follow the link to sign up or insert the user’s name on the Woolover site when you open your new account. Enjoy a 20% discount on your next order! 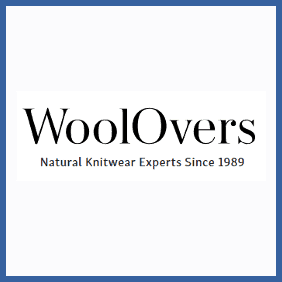 Woolovers have been selling natural knitwear from wool, cotton and cashmere since 1989. Whether you’re an existing customer or not you can get involved in their excellent refer a friend scheme that’ll bag you and your referred friend a 20% discount on your next order.